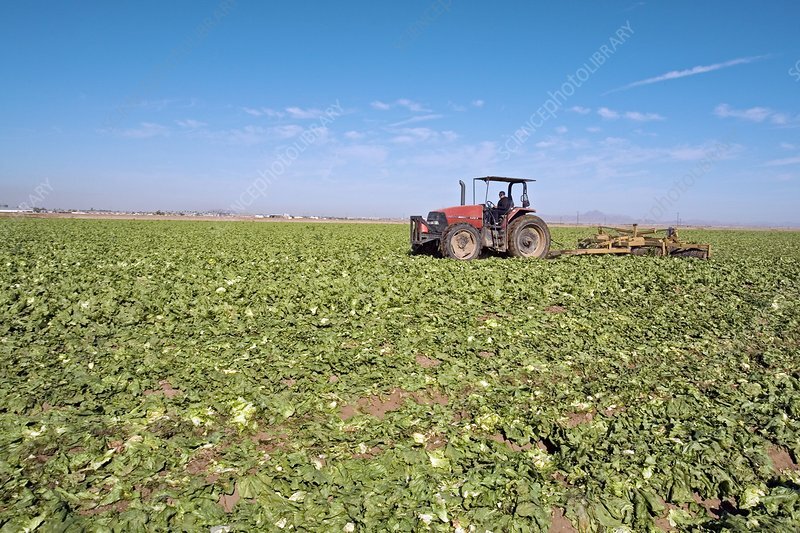 Tractor clearing a field after a lettuce harvest. The lettuce stalks are being crushed so that they wilt quickly in the sun. The next crop will be planted in the field within a few days. Photographed in Yuma, Arizona, USA.